You must have a copy of the winter 2014 issue of Quilting Celebrations if you want the pattern and instructions for making this project, as shown. We used the Simple Star to stitch this table topper's applique stars. 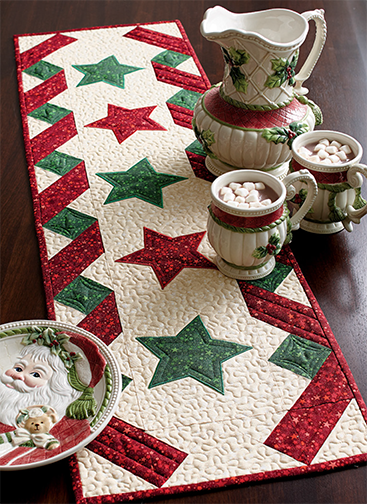 Two BONUS stars have stitched outline details and can be used to embellish lots of holiday projects!